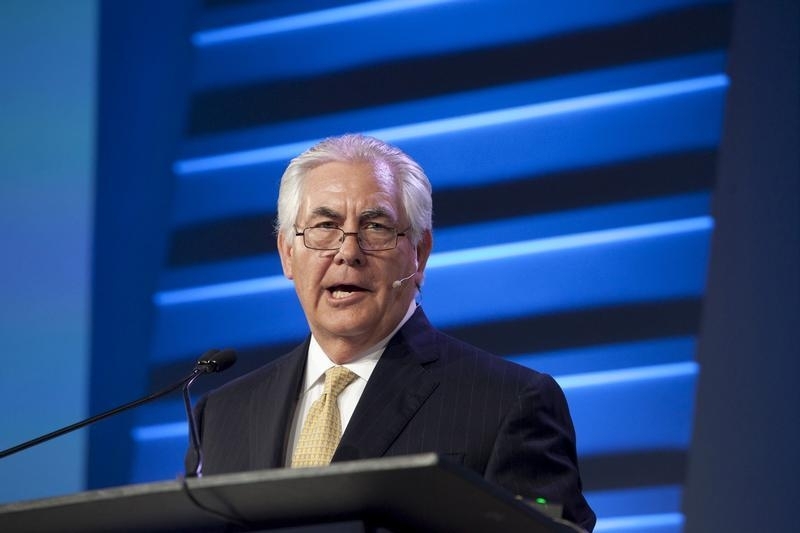 Exxon boss Rex Tillerson and Conoco chief Ryan Lance slammed U.S. regulation during the industry’s big annual gathering this week. Even if there is a valid point or two to be made, busting out that old chestnut now is rich given the evidence of a recent surge in domestic output. Rex Tillerson, chief executive of Exxon Mobil, on April 21 urged the United States to lift its long-standing ban on crude oil exports and take other steps to cut energy industry red tape during his keynote speech at the annual IHS CERAWeek energy conference in Houston. Ryan Lance, chief executive of ConocoPhillips, told conference-goers on April 20 that the United States should lift an export ban, streamline its permitting process, open more federal land to development and reform taxes.